Metal Gear Solid Touch was scheduled for its official release tomorrow, but for whatever reason the much-hyped iPhone entry of the popular series is available one day early. 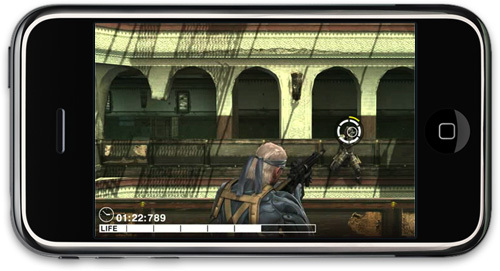 The game is part of the Metal Gear Sold 4: Guns of the Patriots story arc available for the Playstation 3. If you are a fan of the series, you will notice some familiar faces. You don't, however, have to be a Solid Snake fan to play the game. It is simply an on-rails shooter with the Metal Gear name slapped on top. 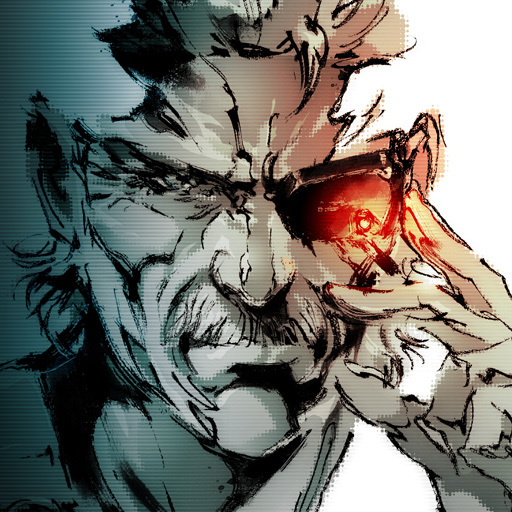 Metal Gear Solid Touch advance edition contains the first twelve stages at the price of $7.99 at the App Store while later on in the year the final eight additional stages will be released as a free update to early adopters. Players will be able to port their original game data into the final version when it is released. Now, just to be clear, I am not saying an on-rails shooter is a bad thing, but if you aren't a fan of the series the price tag may just chase you away. It's obvious Konami is able to charge a little more just because the title contains the words "Metal Gear Solid." My opinion might change over time as I haven't had a chance to try the game yet. The early customer reviews actually look fairly promising. These initial results may be a tad skewed as early adopters are usually fans of the series. If any of you decide to give the game a try, feel free to report back on your initial impressions in the comments section.